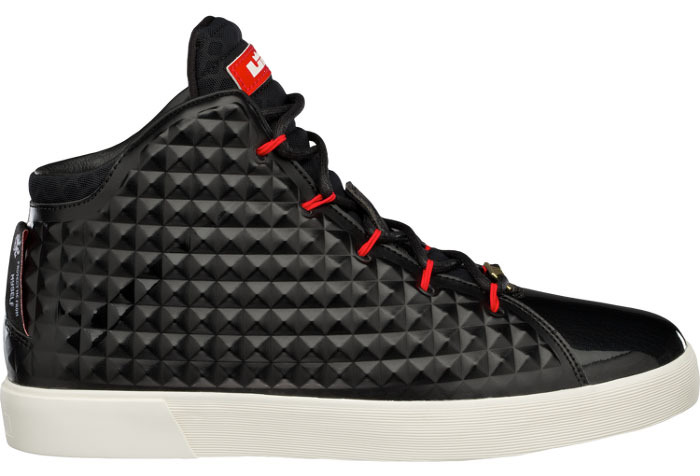 The LeBron XII NSW Lifestyle brings a distinct look to the line, with raised pyramid-style detailing along the sides and heel, similar to what we've seen on Nathan VanHook's Free Orbit II SP and Air Yeezy 2. 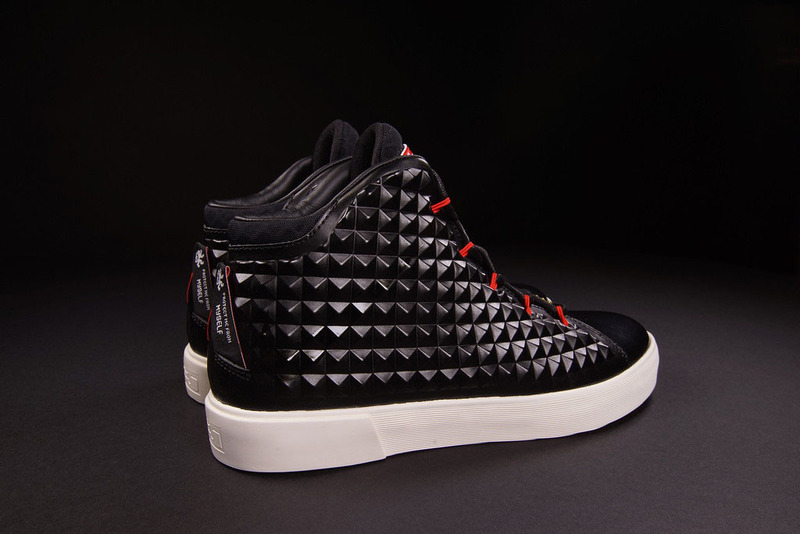 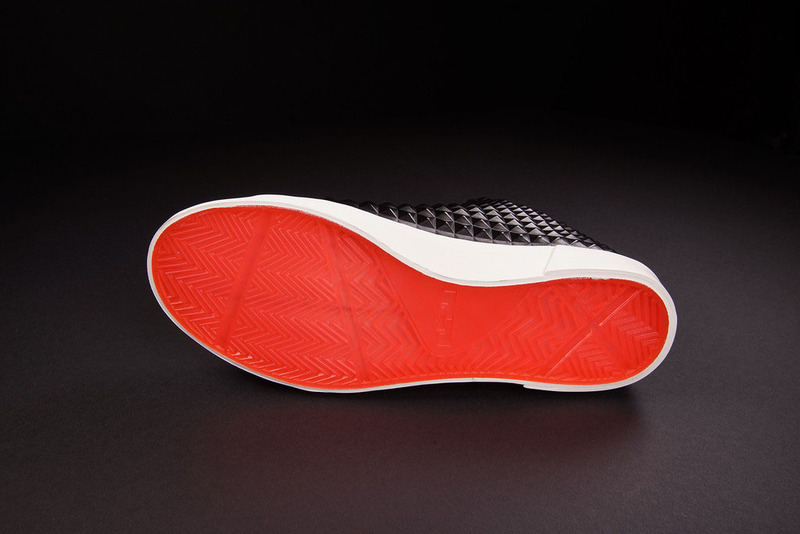 Below, vulcanized tooling and a translucent outsole with traditional herringbone traction. 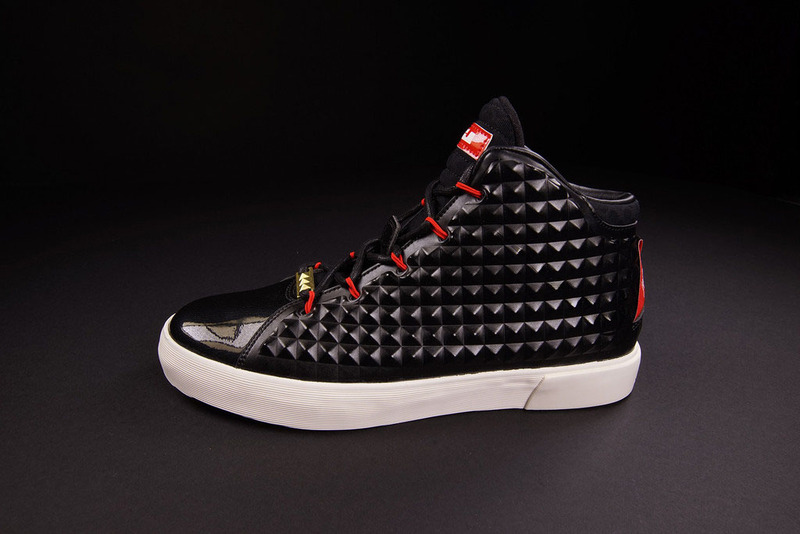 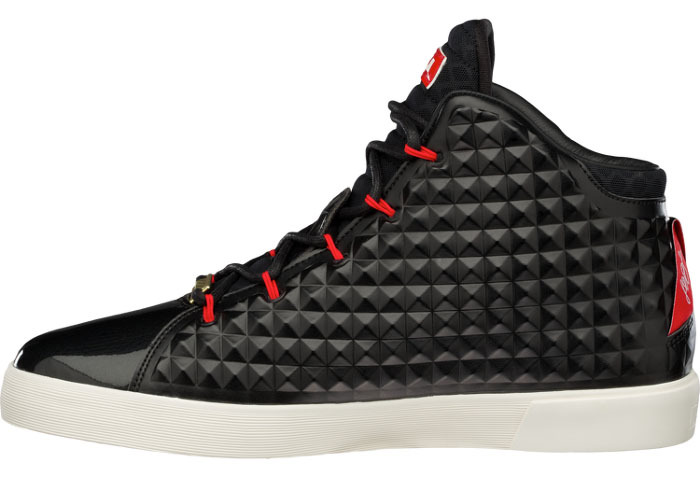 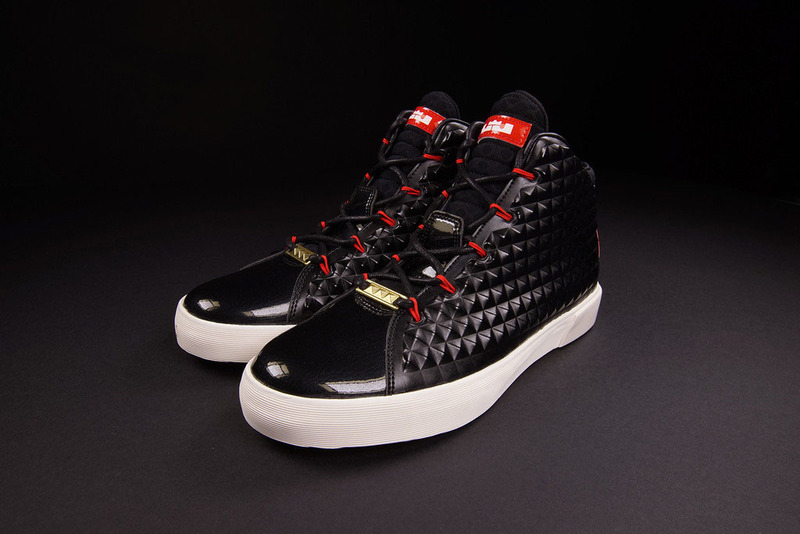 The Nike LeBron XII NSW Lifestyle in black/challenge red hits nike.com as well as select Nike Sportswear retailers on Saturday, October 18. 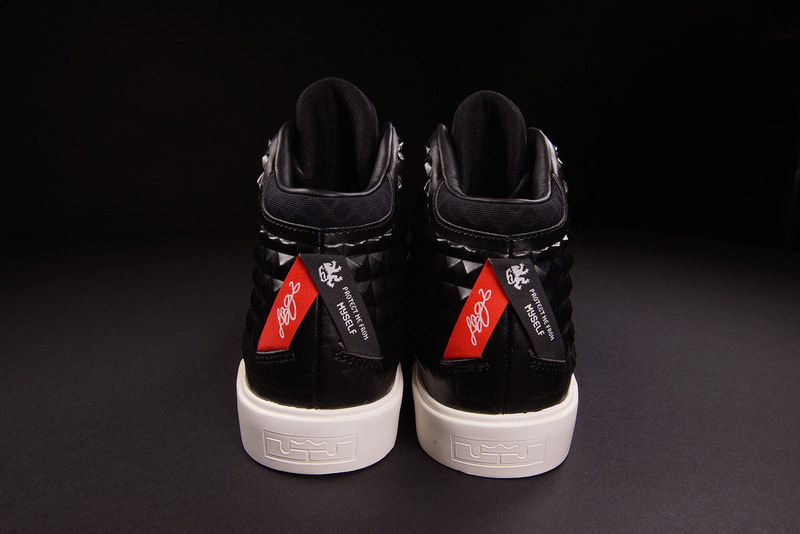 UPDATE 10/10: New photos courtesy of Oneness, who will be carrying the shoe next week.